One of the elements of NLP that I find extremely useful is future pacing. This is a technique where you picture yourself in the future in a given desired situation, seeing it through your own eyes as you are there. This situation is the topic, challenge or limitation that you’ve been working on. So, you are stepping into the future and using all your senses to fully experience the success of achieving your goal. Some refer to it as visualisation and it does involve this yet it is also so much more. It’s physically and mentally putting yourself into that future situation and experiencing it as if it was actually happening. Following through each and every element of that event and noticing everything you see, hear and feel. It’s also allowing that success and achievement to fill all your senses and your mind and soul too. Connecting with it so completely that it becomes reality, your future reality. Being able to bring all the knowledge and strength back to you in the present moment is an incredible source of strength. I’ve found it to be extremely useful in overcoming self-limiting talk; that monkey that can jump into our heads and chatter away distracting us from our goal, filling us with self-doubt and reasons not to try is much quieter when I use this technique. Thinking back to the Olympics last year, I enjoyed watching Katarina Johnson-Thomson prepare for her events and I particularly remember watching her through the high jump as she readied herself for her 2nd attempt at 1.98m. Her focus was complete and watching her eye movements and slight facial movements I’m sure she was visualising every single part of the process ahead, including clearing the bar, landing on the mat and bouncing to her feet victorious. Think of the focus that you see in the faces of sprinters as they line up for the 100m, that unwavering stare at the finish line, picturing their success, picturing themselves achieve their goal. It’s important to remember that for some this achievement may not be being 1st across the line, for example it may be achieving a personal best. Sports men and women of all disciplines from American Football to Gymnastics have shown the importance of this focus, self-belief and visualisation. Of course, one of the true masters of this technique was the one and only Muhammed Ali who set out what he wanted to achieve in a different way to most of us. In pre-fight press conferences, he would turn to his opponents, look them in the eye and then make one of his famous predictions. He would say something like “you’re going down in the fourth minute of the third round”. He would say it with complete certainty and belief. When Ali returned to his hotel, after the press conference, he would lie down and relax each and every part of his body. Then he began to visualise the days and weeks ahead and see himself build up to the fight. He’d see himself doing training, he’d visualise himself preparing and getting stronger and better, he visualised himself during his sparring sessions getting bigger and stronger. He would then visualise the day of the fight, all the detail, even down to arriving outside the stadium and getting out of the car to hear the crowd chanting “ALI”. He’d intensify each image, intensify the feeling, bringing it closer, visualising with all his senses and feeling all the emotions that were connected with the scene. He’d go into the dressing room and feel the bandages go onto his hands and see himself standing strong. Then as they announced his name as he walked out the crowd would go crazy. Screaming just for him. Only his name would be screamed: everybody on his side. He would then visualise each round- mentally rehearsing the outcome he wanted. He would see the first round exactly as he had planned it, exactly as he had mentally rehearsed it. Connecting, brilliant blows, doing the famous Ali shuffle, floating like a butterfly stinging like a bee. Then he’d visualise the second round, even stronger, even greater, intensifying every moment. Then came the third round, and more importantly the fourth minute. At that moment BOOM, he’d connect his opponent with an almighty punch then see him go down. 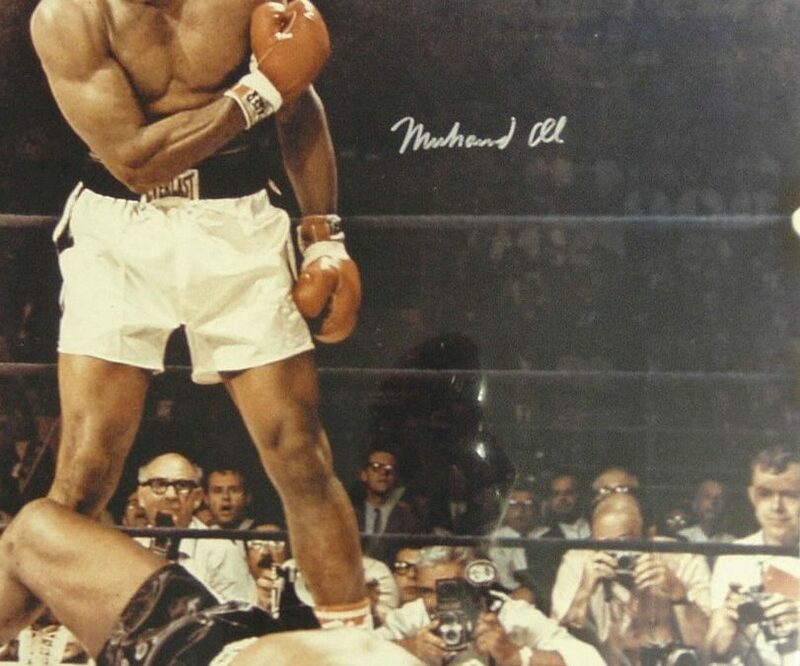 When his opponent fell, Ali would imagine standing over him and hear the referee make the count. At that point when he knew that he had won, he would freeze-frame this final image and surround it in brilliant white light. He called this his “Future History”. All the time he trained, he would see his future history. Every time anybody would ask him about the fight, he visualised his future history. This became a future that he was so certain about it was as if it had already happened and been documented by historians. Ali created a belief and passion through his visualisation that he brought into his whole physiology, so much so that every moment he lived he ate it, breathed it and felt it. Imagine what you could achieve if you were able to develop your mind to support you in this way? Imagine what it would be like to achieve your goals and transform your life? Imagine what it would be like to set and work towards your goals without that mischievous mind monkey chattering away creating self-doubt and limiting what you can achieve? If you would like to further explore how you may achieve your dreams and transform your life, please contact me for a free consultation.